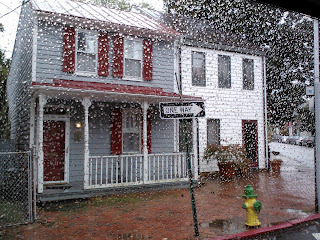 Annapolis - Just for the fun of it. We went to Annapolis in 2013, it rained! Every Day! But we really enjoyed the visit. On that trip we visited the US Naval Academy, The Boat Show, and local antique store and museums. We're hoping the weather will be better this year and are looking forward to the Boat Show, the Blue Water Brokerage Show and, hopefully, the Maritime Museum and possibly the Chesapeake Bay Museum. We also hope to meet up with a few of the HISC members and even with some old 'online' acquaintances from the Catalina 25's Association. We're only there 3 full days, flying in Thursday afternoon and flying back on Monday around Noon. The Blue Water Brokerage Show is being sponsored by David Walters Yachts, Josh McLean, a HISC member will be there. Amanda Hyatt Haley, another HISC member, from Dennison Yachts will be at the Boat Show, so we should recognize a few people, but I'll make sure to wear my HISC Caps and Shirts just in case! We're staying at the Annapolis Westin, and will get either an Uber or shuttle from there to the shows. That also means I'll have my cellphone charged and on for the entire trip which will help with casual meet ups with our friends also in the area.